I don't seem to have it on mine either. It's possible they finally pulled it to get everyone over to Messenger. it was in the upper left corner. They added a new camera option, so now it's in the upper right corner. Thanks! I don't use it much so wasn't quite sure. Me too! It's infuriating. I use the feature all the time. Why would they get rid of that? Any way to download an earlier version or something? I'm ready to delete the app completely. If you have a previous version in your iTunes you can install that, but that would only be the case if you sync with iTunes. If not, then you're stuck with the current. is the messenger icon Keith showed not what you wanted? Sorry for my ignorance I know there was a chat area before but just assumed it took you to messenger. I have the same problem.. i used it a lot... very annoying its been removed so suddenly with no warning.. is it just iphones? If Y'all mean the right side bar menu of friends, I don't see that anymore either. 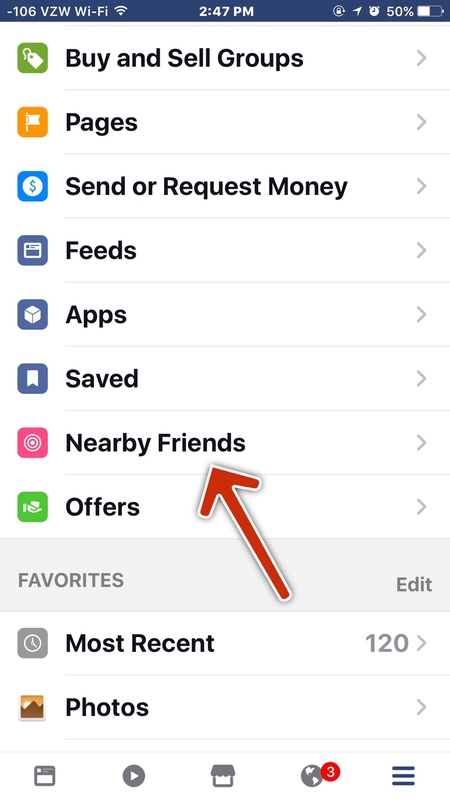 But you might check out the "nearby friends" feature in the main menu. Location will need to be set to "always". This is infuriating. Is this a permanent change? I have tried to contact FB but of course they don't answer. I use my sidebar all the time. Strange that it's still working fine on many of my friend's phones that have the current updates. They do that way. My wife got the profile pic in the middle before I did. Everyone will get it sooner or later. Unless they get too many complaints. They might add it back. robertk328 and Jannlanz like this. We don't really know if it's permanent. My guess is it's permanent, but only until enough people complain like @Ledsteplin said! Yes my friend that thought she dodged the bullet got hit last night and hers stopped working. Any suggestions on the most effective way to submit complaints? Thank you so much! 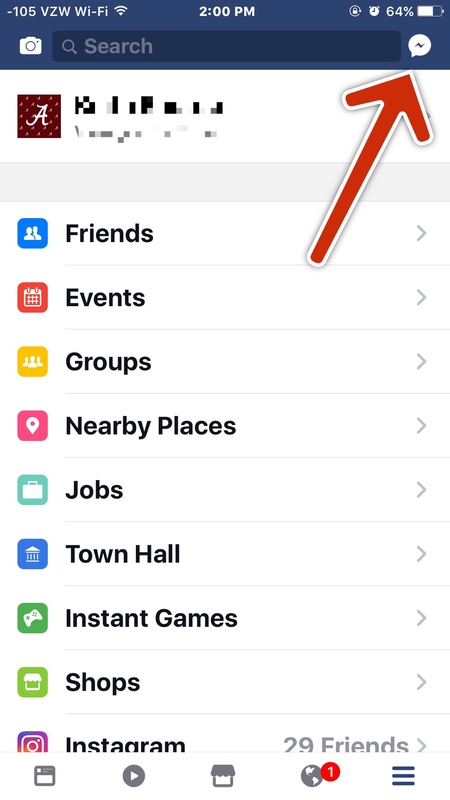 Scroll down the main menu in the Facebook app to "Help and Support". Choose "report a problem".